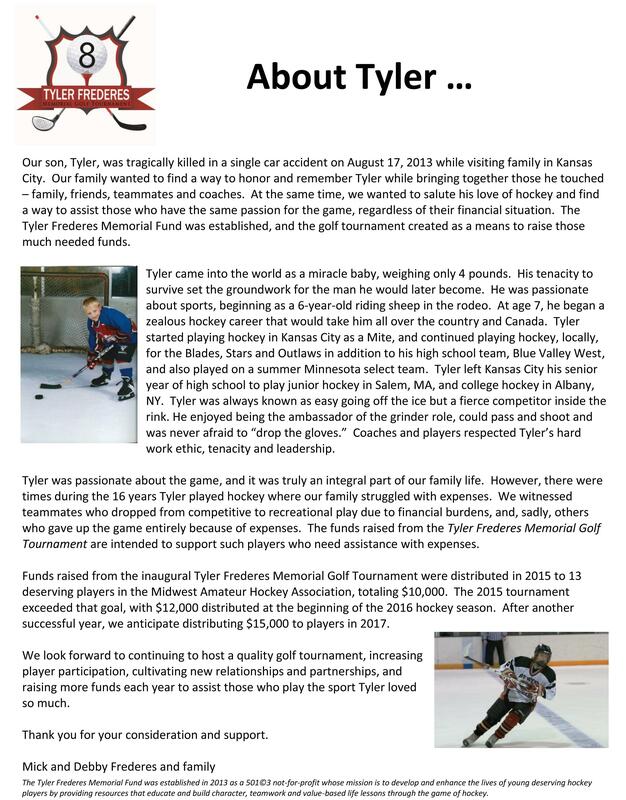 The 2018 Tyler Frederes Memorial Golf Tournament was held Monday, August 6th, 2018 at the Deuce at the National. 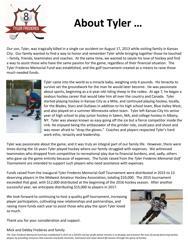 The tournament raised $18,000 of funds for deserving hockey players in the Midwest Amateur Hockey Association (MWAHA). The funds pay for fees, dues, or expenses the player is unable to play which would hinder or restrict him/her from playing hockey.